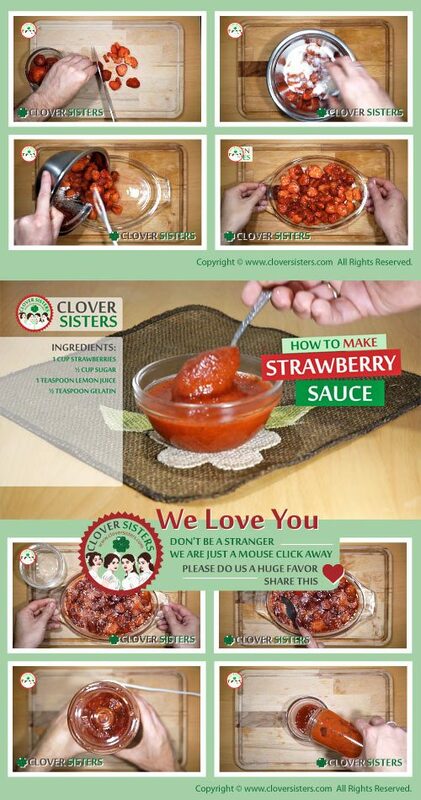 Easy to make and store, homemade strawberry sauce does not waste much place in the refrigerator. Ready to be served on ice cream, pancakes or steak. 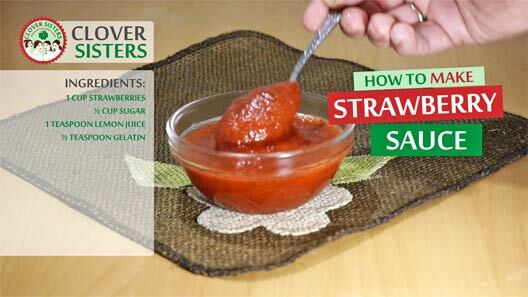 Strawberries and sugar put into microwave oven, after 5 minutes take it out and skim foam from the top. Microwave it again for about 4 minutes. In hot sauce add gelatin and mix. Let it cool or make puree in blender.